The book, for the time being only available in Dutch, was launched in June 2017. 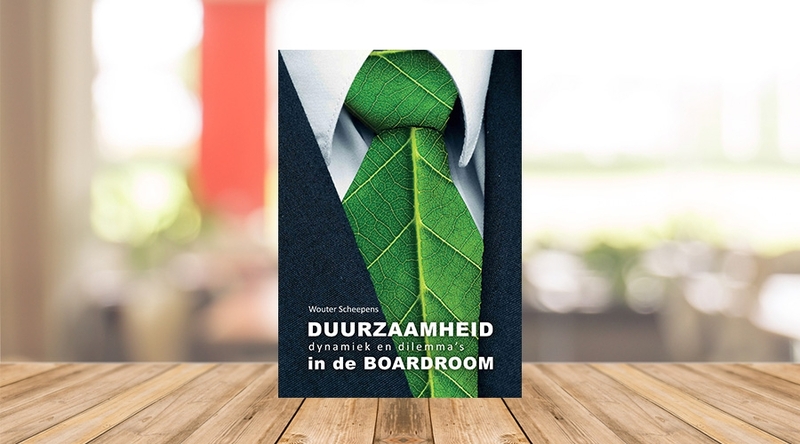 For his book Wouter interviewed some 25 CEO’s, (non) executive board members and academics. His main research question was to what extent the boards of large Dutch corporations are really involved in sustainability. It turns out the record is somewhat bleak. Too often sustainability is still centered around the ‘ratings game’. In order to truly contribute towards the transition of a more sustainable economy and to create synergies between value creation and societal added value, boards should step up their efforts. Wouter offers some specific solutions and clear advice for boards that want to lift sustainable entrepreneurship to the next level. The large number of participants at the presentation reflects that the book covers some high priority dilemmas and opportunities. There was a lot of support for both the contents of the book as well as its timing. ‘We need this kind of clarity and optimism to accelerate the so much needed transition’, someone said. The book review by Koos Groenewoud (in Dutch) can be found here. An interview with Wouter by the Dutch Banking Association can be found here. An interview with Wouter by Duurzaambedrijfsleven (in Dutch) can be found here. Consultancy.nl comments on the book of Wouter (in Dutch), here. Additional information about the book (in Dutch) can be found here. And if you would like to order a copy (in Dutch only), please go here.